Terry is NCI’s favorite bookkeeper! She may be our only bookkeeper, but we’re sure that even if there were multiple that she would still be everyone’s favorite. 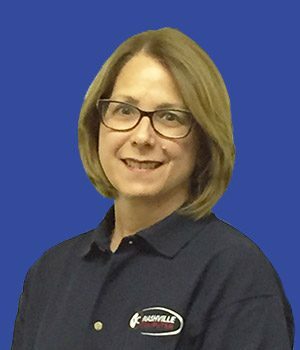 She has been in bookkeeping for over 25 years, and with our team since 2015. We are so glad she’s here! She’s originally from Naples, FL, but now resides in Columbia, TN. She and her husband, Jeff, have 2 children and 3 wonderful grandchildren! When she’s not at the office, Terry enjoys traveling, tending to her flower garden, trying new recipes, and (mostly) spending time with her children and grandchildren!